A classic work on the search for authentic spiritual masters in India. 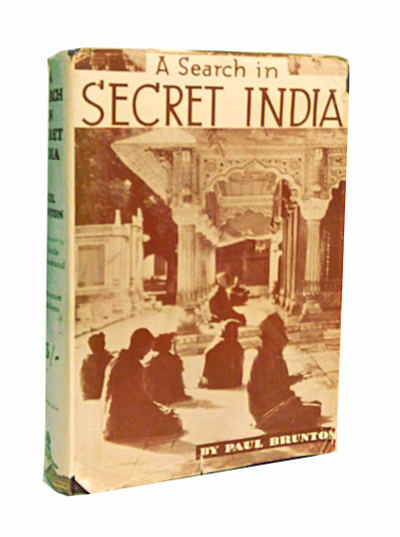 Title: A Search in Secret India Author: Paul Brunton Publisher: Rider & Co., London. No date, 8th impression. Most likely 1930s. Condition: Hardcover, with dust jacket. Dust jacket in fair condition, with small tears. Book in very good condition. Inscription in pencil on ffep. With numerous black-and-white plates. 312pp., excluding publisher’s catalogue. App. 9″ by 6″. Paul Brunton is the pen name of Raphael Hurst (21 October 1898 – 27 July 1981), a British theosophist and spiritualist. 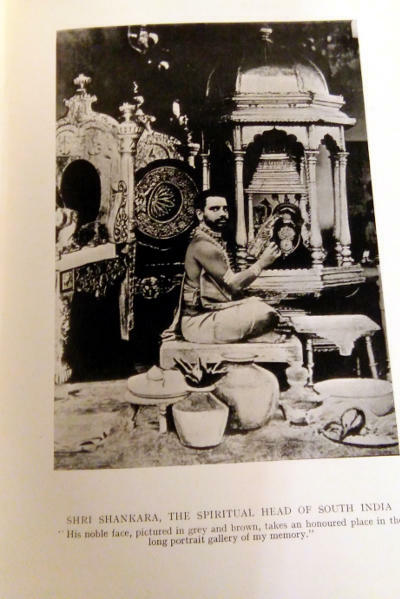 He is best known as one of the early popularizers of Neo-Hindu spiritualism in western esotericism, notably via his bestselling A Search in Secret India (1934). 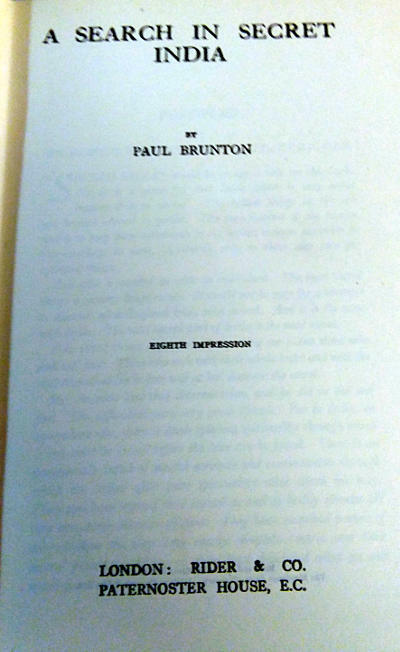 Brunton was a proponent of a doctrine of “Mentalism”, or Oriental Mentalism to distinguish it from subjective idealism of the western tradition. Brunton expounds his doctrine of Mentalism in The Hidden Teachings Beyond Yoga (1941) and in The Wisdom of the Overself (1943). Hurst was born in London in 1898. He served in a tank division during the First World War, and later devoted himself to mysticism and came into contact with Theosophists. He married Karen Augusta Tuttrup in 1921, with whom he had a son, Kenneth Thurston Hurst (b. 1923). After his wife had an affair with his friend Leonard Gill, the marriage ended in divorce in 1926, but Hurst remained on friendly terms with his ex-wife and with Gill. He was a bookseller and journalist, and wrote under various pseudonyms, including Raphael Meriden and Raphael Delmonte. 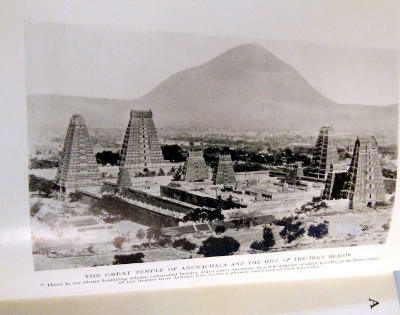 Being partner of an occult bookshop, The Atlantis Bookshop, in Bloomsbury, Hurst came into contact with both the literary and occult British intelligentsia of the 1920s. 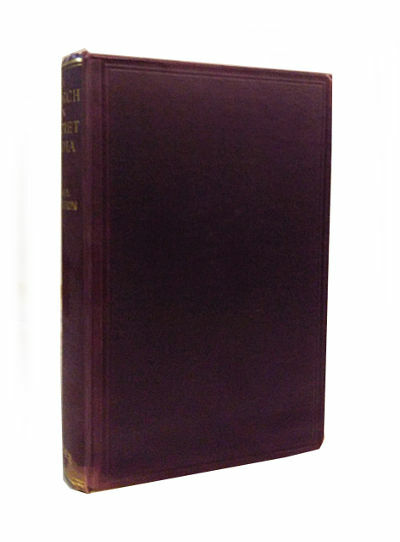 Paul Brunton was the pseudonym under which A Search in Secret India was published in 1934. The book became a bestseller, and Hurst afterwards stuck to publishing under this name. Brunton has been credited with introducing Ramana Maharshi to the West through his books A Search in Secret India and The Secret Path.